This beautiful metallic bridal headband adds style and glamour to a bride's hen party outfit. In a stunning shade of rose gold, this delicate tiara accessory adds a feminine touch. With the 'Bride' letter detail, the bride will stand out everywhere the hens take her. She won't escape unnoticed. The flexible headband will keep this tiara comfortably in place all night. 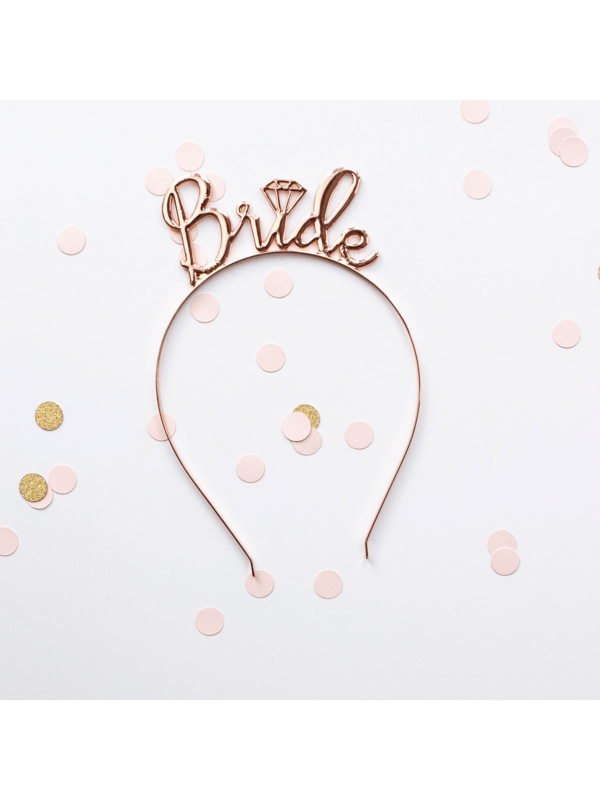 An ideal gift for hen parties, bridal showers, engagement parties, or any pre-wedding event, the bride is sure to love this tiara headband.